Washington state preacher and former NFL football player Ken Hutcherson continues to ostracize himself from acceptable Christian company, as he lashes out against churches and Republicans for being insufficiently hateful to Washington state gay couples who, thanks to the Nov. 8 election, may now make preparations to marry. One of the few Religious Right organizations still willing to coddle Hutcherson’s bully tactics is the infamous American Family Association, now widely regarded as a hate group for its racism and contempt toward women — not just for its desire to eradicate homosexuals. Hutcherson has spent nearly a decade seeking to hammer wedges between conservative Christians and their gay family members and gay churchgoers. His objective: Destroy families by pressuring employers to fire gay employees, pressuring schools to bully gay students and teachers, and pressuring authorities to tolerate antigay violence. “My idea here is to drop a spiritual bomb on D.C., like Spain, where they had the terrorist bomb,” he said, referring to the March 2004 Madrid train bombing that killed 191. The same article also quoted Hutcherson on why he got into football, before becoming a Christian: “It was the only sport where I could hurt white guys legally.” Hutcherson wasn’t entirely joking; he has long made himself a pariah among mainstream churches due to his violent sentiments. In 2007, Hutcherson rounded up pastors to oppose the inclusion of sexual minorities in federal hate-crimes law. That law raises penalties for felony violence committed against an entire demographic. The religious group’s First-Amendment argument against the law effectively asserted a right to commit felony violence against select population demographics. Hutcherson leapt aboard the ex-gay conference circuit about that time, becoming a popular keynote speaker. 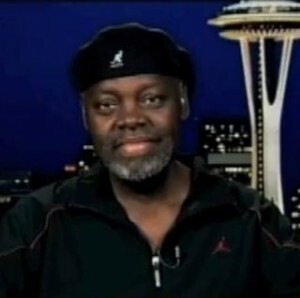 His popular catchphrase: “I’ve met many ex-gays, but I’ve never met an ex-black.” Ex-gay activist Stephen Black praised Hutcherson in 2009 for his antigay militance — and for defying Black’s otherwise racist opinions of U.S. African-Americans, whom he declares un-Biblical and insufficiently militant in response to Black’s only Christian concerns: homosexuality and reproductive rights. At that time, Hutcherson also became deeply involved in Watchmen on the Walls, a racist Latvian antigay organization that appears to have facilitated violent gangs in Northern California and the Pacific Northwest. At Watchmen, Hutcherson partnered with another advocate of antigay violence and imprisonment, Holocaust revisionist Scott Lively. Watchmen-inspired gangs have committed acts of violence against families who were assumed to be immigrants. In 2010, Hutcherson presided over the fourth wedding of Rush Limbaugh, giving his blessing to the serial adultery of a media ally. And for most of the decade, Hutcherson has bullied gay-tolerant students and faculty at Mount Si High School in Snoqualmie, Wash., near his home church — rallying mobs to oppose antibullying programs and inciting at least one violent antigay assault. As the hardline ex-gay Restored Hope Network begins its first full year of existence, expect to see Black, Anne Paulk, Andy Comiskey, Robert Gagnon, and other RHN leaders citing Hutcherson as an ally in their campaign to criminalize sexual minorities and shatter families that respect their LGBT parents, siblings, or offspring as equals.